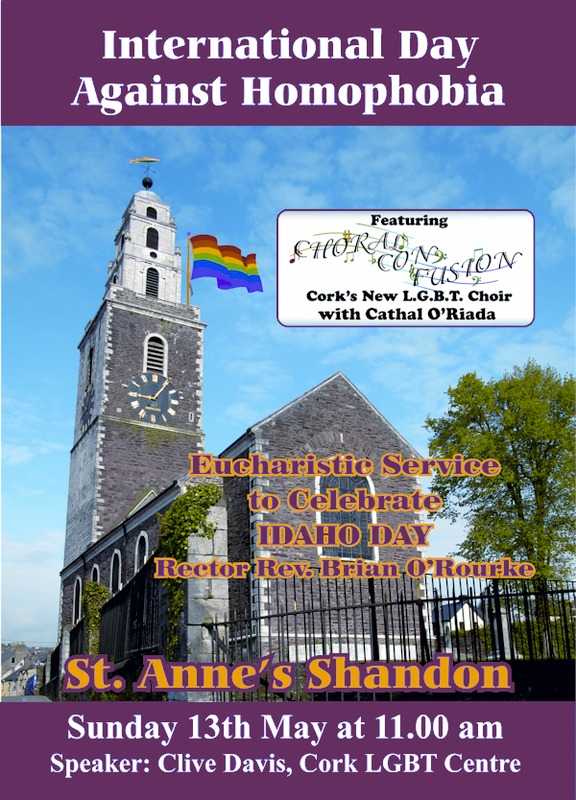 International Day Against Homophobia (IDAHO) Service in St Anne’s, Shandon. This year’s IDAHO Service in St. Anne’s is on Sunday the 13th of May. It is a going to be a Eucharistic Service, with the service Speaker being our very own Clive Davis of the LGBT Centre (aka The Other Place). Choral Con Fusion will be singing along with a welcome return from Cathal O’Riada, whom some of may remember from last year’s Carol Service. The service starts at 11am and all are welcome to attend.